About Superb Enterprises Pvt. Ltd. Superb Enterprises Pvt. Ltd. is an outsourced agency for Document/Certificate Attestation, Apostille and Visa services by different Authorities of the Government of India and Foreign Diplomatic Missions (Embassies). We are one of India’s leading companies with a core philosophy of providing technology based quality services in a systematic and transparent manner. We constantly strive for excellence and the phenomenal growth of our company is a testimony of the level of trust the people have bestowed on us. With a view to render all services related to visa processing and passport Visa status, MEA Attestation , Apostille Stamp, Legalization of documents by different Departments of the Government and Embassy Attestation from foreign Diplomatic Missions under one roof, Superb Enterprises, an ISO 9001:2008 certified company, was formally created in the year 2008. We are serving our clients of attestation since then. M/s Superb Enterprises was initially registered as a Partnership Company with the Registrar of Companies/Firms, Government of NCT of Delhi vide registration No 2548/2008, U/s 58 (1) of the Indian Partnership Act 1932. It has now become an Indian Company under the Companies Act 1956, and has been registered as M/S Superb Enterprises Private Limited vide Registration No. U74900DL2013PTC253128. It has taken over all the assets & liabilities, profit & loss, infrastructure, staff etc. of M/S Superb Enterprises with effect from 13th May 2013. The Ministry of External Affairs (MEA), Government of India has outsourced its “Attestation” work in 2012. They have empanelled us as an Authorized Service Provider. We are also authorized to offer “Apostille” services from Ministry of External Affair (MEA). The Cultural Division of the Embassy of the Sultanate of Oman outsourced its culture attestation work in 2012 and made us the sole agency for collection and delivery of documents for verification. The Cultural Division of the Embassy of the Republic of Yemen outsourced its culture attestation work in 2014 and appointed us as the exclusive Agency in India for collection, scrutiny, submission of the documents for attestation. We are an authorized organization to provide visa, Work permit Visa and certificate Attestation from embassies like Royal Embassy of Saudi Arabia, Nigeria, UAE, Algeria and other Embassies. We extend our helping hands in online and offline Visa Application form and translation services. We deal in Visa endorsement, Visa Validity services and E-visa processing. We provide US Visa Application services and Schengen Visa processing for all the Schengen Countries. We provide translation services for many foreign languages - Urdu, Arabic, English, Hindi, Spanish, French, German, Italian, Portugal, Russian, Malaysian and Chinese. In recognition of high standards, transparency and spectacular performance of M/s Superb Enterprises, the Ministry of Overseas Indian Affairs (MOIA), Government of India, granted us an ‘A’ Category license (No B–0407/DEL/PART/1000+/5/8423/2009) enabling us to act as one of the recruitment agencies and recruit unlimited manpower overseas for all fields of profession. 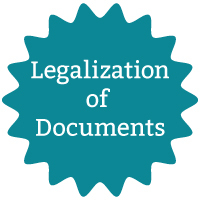 We are the leaders in the channel of Certificate/Document Attestation services. 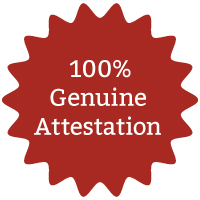 We have earned loyalty and trust of millions of our clients who regularly deal with us for their requirement of certificate Attestation and Apostille services. It is handled by experienced, qualified and professional working staff to render premium, potent, cost-effective and reliable services, truly unmatched by others. 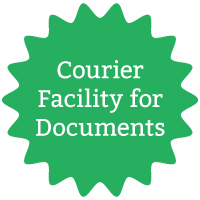 We ensure 100 percent data security and genuine attestation of all the documents and certificates at economical rates and deliver services in promised time. 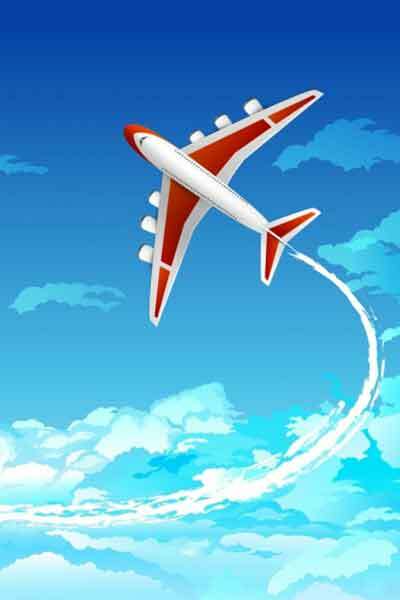 With a view to venture into Travel Business, Superb Enterprises obtained IATA certification and launched its travel agency Superb MyTrip and On-line Travel Portal SuperbMyTrip.com in the year 2013. We provide top-of-the-line services to our customers and guide them with adequate knowledge. Superb Enterprises Pvt. Ltd. with its presence in Delhi, Mumbai, Pune, Hyderabad, Jalandhar, Chandigarh, Bangalore and Kochi, Trivandrum is contributing to make MEA Apostille/ Attestation, HRD Attestation, Visa and Embassy services, and Translation services accessible. The Head Office is situated in New Friends Colony, Delhi.